I’m a believer in trying everything at least once, so now that I have a little more free time on my hands, I booked an appointment at one of the acupuncture clinics that I’ve heard quite a lot about. CENTRO Maginhawa is located along the main street of Maginhawa, about 2 doors down from Mini Stop. The frontage is a narrow driveway so watch out for the streamer that says “CENTRO.” It’s small and when there are cars parked in front, it becomes even more obscure. 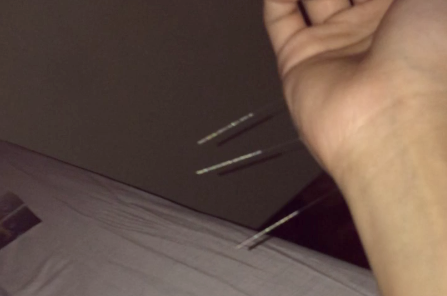 I went because I had a little wrist pain at the time (I slipped and fell in the shower heh), and I was curious if acupuncture would help speed up recovery or alleviate the pain. Also, my first session was in January so that was about 3 months post-competition. I wanted to know if everything would “check out” and just see if everything was okay from the lens of Chinese medicine. It was more curiosity than anything else. I knew my wrist would heal in time. They accept walk-ins but I recommend calling ahead to schedule an appointment because they have a lot of clients. I’ve tried scheduling an appointment twice before but couldn’t because they were fully booked. Upon entering the clinic, you’ll be greeted with what appears to be the fresh scent of weed (marijuana). If you’re bringing kids along with you and you don’t want them to inhale the fumes, that’s something to consider. I later learned that the scent was from moxa or mugwort herb. They take your blood pressure and weight before letting you in to see the doctor. Only Dr. Sison was available that day (I was expecting a Dr. Tan) but I was fine with either one. He asked me about my sleeping habits, eating habits, menstrual cycle, physical activities, ailments and injuries (if any), then he took my pulse and looked at my tongue. I had read online that one’s pulse and tongue are two of the more important diagnostic tools in Chinese medicine so I was expecting that. eyebrows are not on fleek. i’m aware. I told Dr. Sison that I wanted something to help with my insomnia, migraines, appetite and wrist, if possible. He said no to the appetite because I had just come from a diet. So basically I got 3 needles in my right wrist, 1 in my forehead, 1 in each ankle and 2 smoking moxas. Not at all, and this is coming from someone with a low pain threshold. You’ll feel the needle when it is poked in and taken out, but other than that you won’t even know it’s there although there was some mild, mild discomfort when Dr. Sison put the 3 needles in my wrist. On a scale of 1-10 I would say it was just a 1. Honestly, it’s hard to say because I wasn’t in much pain and I didn’t really have any pressing ailments to address. I’m not sold on it, but I’m not writing it off completely. I would consider it again in the future. Reviews are mixed. I would do thorough research before booking a session if I were you. It’s 30-45 minutes for the moxa and needles to stay in plus another 10-15 to rest after they remove the needles. On average, I would say sessions are about an hour long. You can’t exercise after getting acupuncture, and you are advised to rest the following day as well. You can’t drink cold water afterwards. Only warm or room temperature water is recommended. 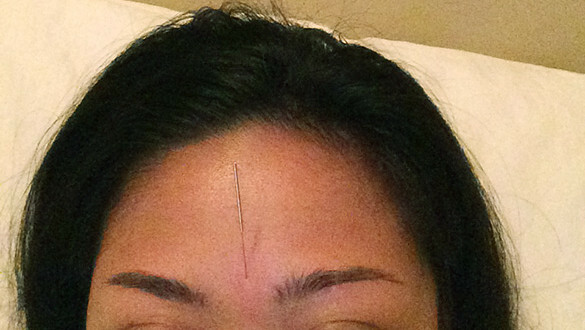 Have you tried acupuncture before? Did it make any difference for you? This is not a sponsored post. I paid for my acupuncture session. I think it really depends on the TCM Physician. 😛 For me, I don’t really go for acupuncture anymore, but the treatments I’ve tried and felt worked for me were cupping (you get awful red round marks on your skin that stay for a week, though, so you look like a polka dotted person haha), and also dry needling (they use a thicker, coarser and stiffer needle, unlike acupuncture). 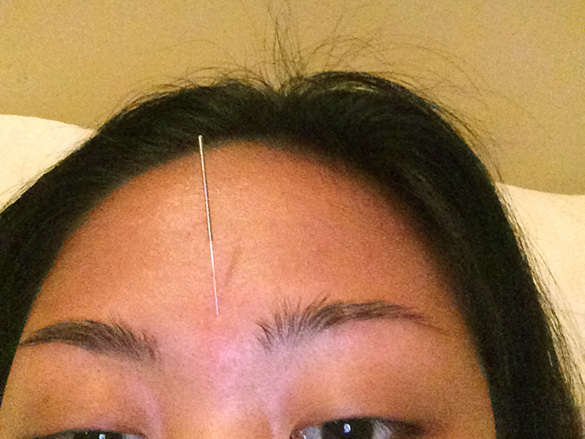 I think dry needling hurts a lot more than acupuncture, but works better for me.